Even More Memorial Day Sales at the Best Boutiques — a Curated List. So many new Memorial Day Sales have cropped up since I first published my Memorial Day sale post that it can be quite a daunting chore to go through them all! I decided to share just the very best and of them here instead! The original will continue to be updated as new ones pop up, but this one is curated for your convenience! Last Updated: May 27 at 10:30 am. Most recent changes marked with *. 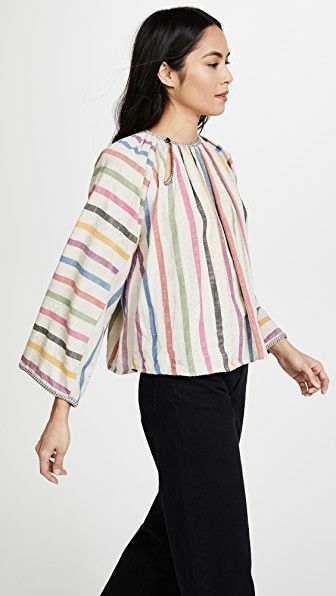 *Fashionkind: a HUGE 40% off clothing with code RTW40 and 30% off accessories with code ACCESSORIES30. Tons of Ace & Jig here, especially from 3rd and 4th drop textiles. Advice from a Caterpillar: 27% off sitewide with code HAPPY BIRTHDAY (includes the space). Still a whole bunch of Ace & Jig available, but don't forget about the kiddo knick-knacks too. I really love this sheep toy and tassel garland... for kids of all ages, right...? Don't forget that prices are in CAD, so don't get scared off by the numbers! *Couverture & the Garbstore: 25% off with code HOLIDAY25. This one's for the Brits! Now is the perfect time to save on that last pair of Staffords. And don't just look at the Ace — they carry other lovely things like Samuji, Baserange, Steven Alan (perfect chore coat alert! ), and beautiful irregular pearls from WWAKE. *FWRD: Up to 50% off tons of things, from brands like Building Block, Marni, and Isabel Marant. I'm totally heart-eyed over these Marni Sandals, myself... Plus get an extra 10% off with code TULIP (some designer exclusions apply). Totokaelo: End of Season Sale happening now! Up to 40% off brands like — Black Crane, Ilana Kohn, and Lauren Manoogian. 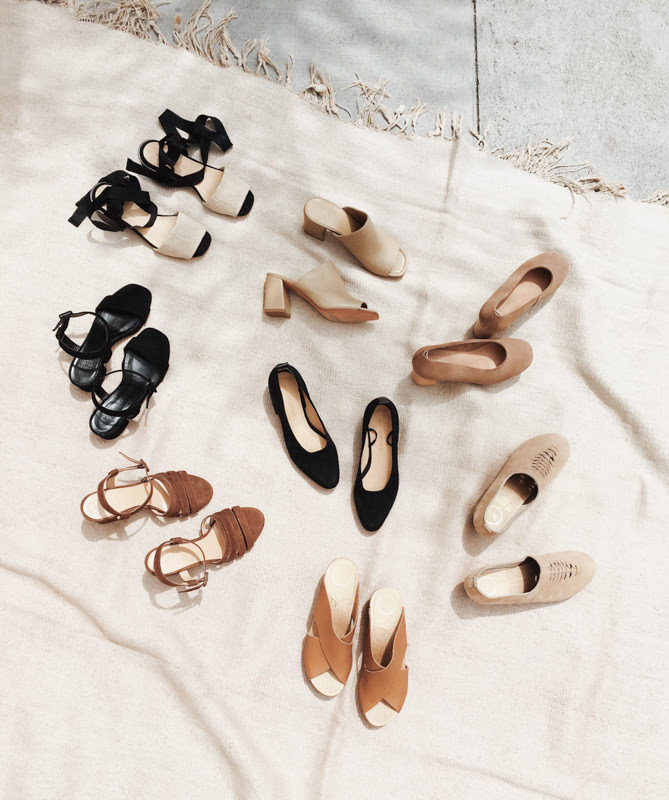 *General Store: 20% off shoes with code SUMMERSHOES. Find brands like MNZ, No. 6, and Mari Giudicelli. Through Monday. Ahh! I keep checking back on all the sites; I have so many tabs open right now trying to decide. I want to see a haul of what YOU ended up getting :) Thank you so much for this list!